“For scientific discovery give me Scott; for speed and efficiency of travel give me Amundsen; but when disaster strikes and all hope is gone, get down on your knees and pray for Shackleton.” Sir Raymond Priestly, Antarctic Explorer and Geologist. For the first two weeks in April, I sat in a classroom in the Harvard Kennedy School of Government. I was part of a group of 65 Young Global Leaders from around the world. The 10 days were a mind-blowing experience, with the pinnacle for me being Dutch Leonard’s classes on “Leading Through Crisis”. For an entire afternoon, we discussed leadership failures and successes against a backdrop of extremes. We started with the 1996 Mount Everest disaster, through the 2010 Chilean mining rescue, the BP oil spill in The Gulf of Mexico and we spent an entire morning on the Shackleton expedition of 1914 – 1916. 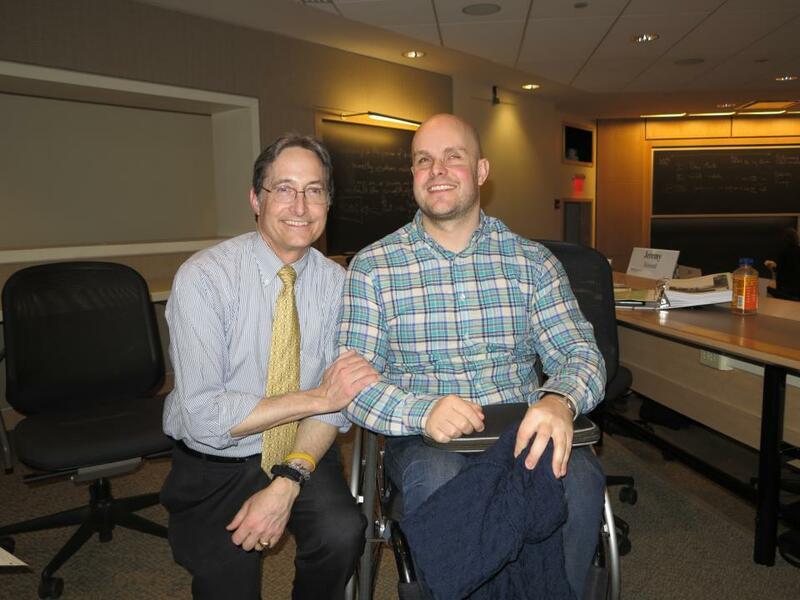 Check out an article about Mark during his Harvard stay in the Boston Globe. First, I had an overwhelming desire to cheer out loud when I read Sir Raymond Priestly’s quote. Then I realised for the first time that my specialist subject is actually a formal academic area of study. What I have experienced in the aftermath of blindness and paralysis and by racing in the world’s most extreme environments, was what Dutch Leonard was teaching us about. For me, the most interesting strand of our discussions was a debate about the effectiveness of hierarchical command structures compared with flatter collaborative approaches. Dutch’s conclusion is that in most situations, with predictable problems, a hierarchical command structure is very, very effective. But, in unpredictable circumstances, this kind of structure can be inadequate. It often fails. Leading through a crisis, any crisis – man-made or natural disaster, requires decisions to be made in a world of imperfect knowledge and uncertain results. It requires the strengths we saw in Shackleton’s crew – the ability to try something, fail and immediately try something else. Since I got back from Harvard, I’ve been considering how this applies to spinal cord injuries. It seems to me that the formal medical structure is the best at keeping people who break their necks or their backs alive, for stabilising the bones in their backs, for teaching those people how to inhabit the world again. They can predict with amazing accuracy the physical and mental progression of a young man or woman suddenly paralysed and needing to get out of bed, into a wheelchair and back to living life. They are also good at helping people who aren’t completely paralysed to make the most of the function they have left. The formal medical structure is vital. Without it I would be dead. Without it I wouldn’t be back at work, back living a life. Without my wheelchair, I couldn’t get around. This work is nothing short of a miracle. The formal medical structure has made standard, that miracle of surviving spinal cord injury and re-integrating into society. But the amazing success of the formal medical structure is also its failing. Its success with the now predictable problem of keeping people alive, getting them into their wheelchairs and back to living is also its greatest failing, when it comes to solving the un-predictable problem of a cure for the paralysed. The structure itself constrains intellectual collaboration and translation of breakthrough science into clinical studies and then into actual therapies. I finally found the words in Harvard to explain what I was seeing in my research and my life. We need hierarchy and structure for life’s predictable problems. But we need the glorious chaos of global collaborations and a fanatical, fantastical desire to solve the things the human brain can’t yet comprehend. In my case, it is the regeneration or rehabilitation of the damaged spinal cord. Finding a cure for spinal cord injury is not a predictable problem. It is a human crisis and it requires collaboration across geographical, organisational and intellectual boundaries. 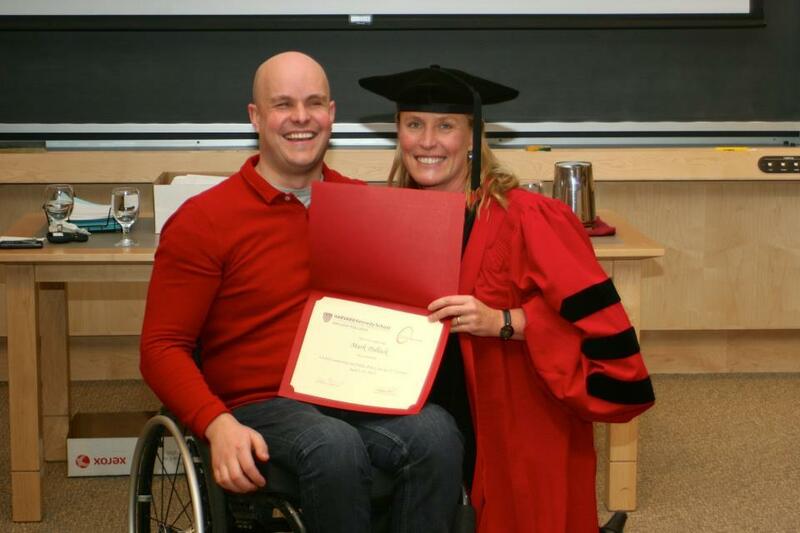 It was a privilege to learn what I learnt at Harvard. I now need to take it and do something with it. We are in the midst of a crisis and in the spirit of Shackleton, we must find a way to move forward, despite the excruciatingly slow progress and seemingly unbeatable odds. It is time for collaboration to sprout out of and around the formal medical hierarchies. We’re on a mission now.